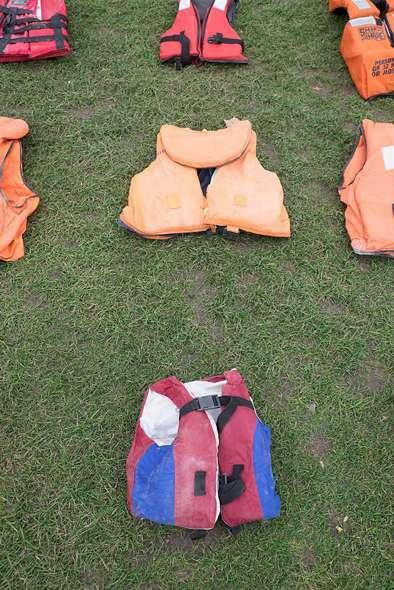 2/6 Over 2,500 such jackets were made by volunteers for the "life jacket graveyard". 3/6 Many jackets were made from cheap materials which provide little or no support in water., similar to those use by refugees. 4/6 The UNHRC has estimated that more than one million migrants and refugees reached Europe by sea in 2015. 6/6 UK Prime Minister Theresa May is set to call for a better distinction between economic migrants and refugees at the UN. On the day the United Nations was to meet in New York to discuss the refugee crisis, London saw an unusual protest created as a reminder of the plight facing refugees. 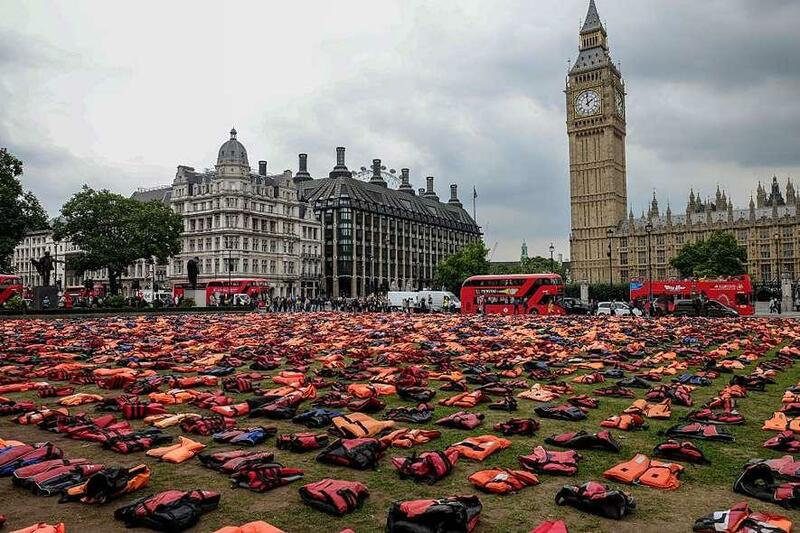 Life jackets of actual refugees were laid out - like in a graveyard, on Parliament Square in a bid to raise awareness of the refugee crisis on 19 September. 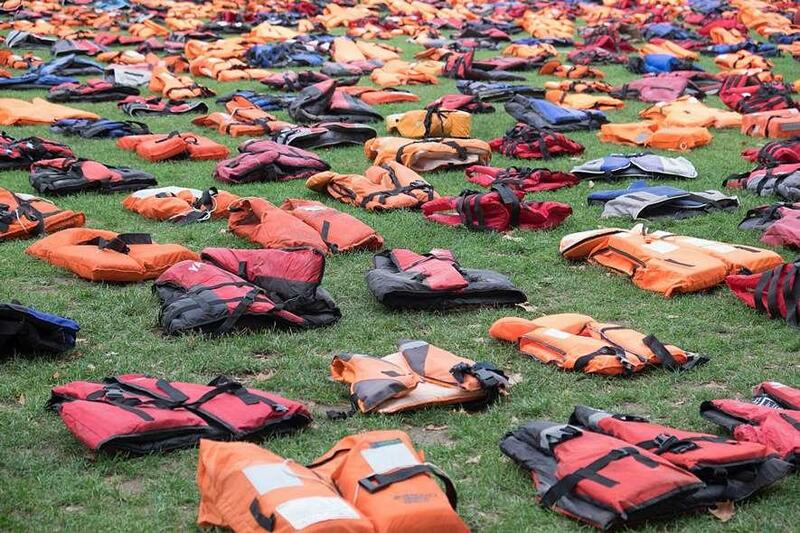 Volunteers constructed the "life jacket graveyard" using over 2,500 such jackets. 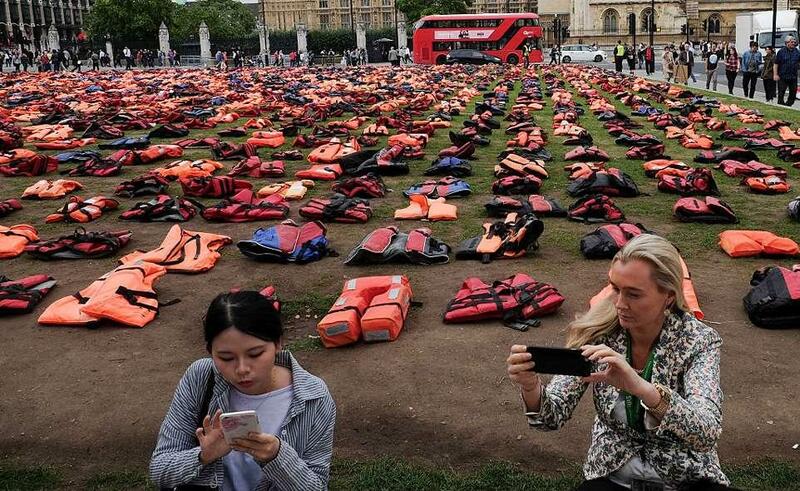 The life jackets used for the display were worn by both adult and child refugees, and the organisers say they speak of the lives and stories of those who experienced the treacherous and deadly stretch of sea from Turkey to the Greek island of Chios. The protest was organised by the production company Snappin Turtle, and was supported by the International Rescue Committee (IRC), Médecins Sans Frontières, World Vision, Migrant Voice and the United Nations Human Rights Council (UNHRC). 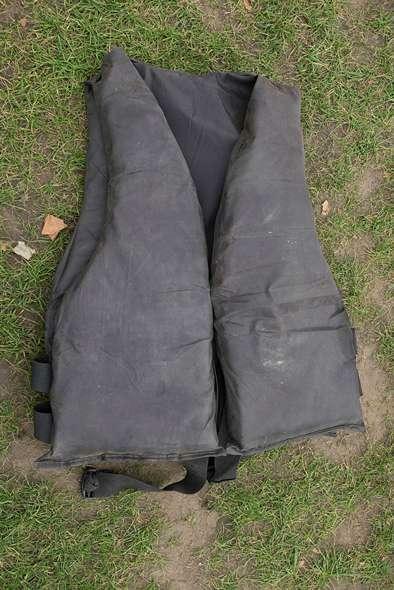 Many jackets were made from cheap materials which provide little or no support in water. The display was laid out for just one day - 19 September. The UNHRC has estimated that more than one million migrants and refugees reached Europe by sea in 2015, and, the group said almost 4,000 were feared drowned. 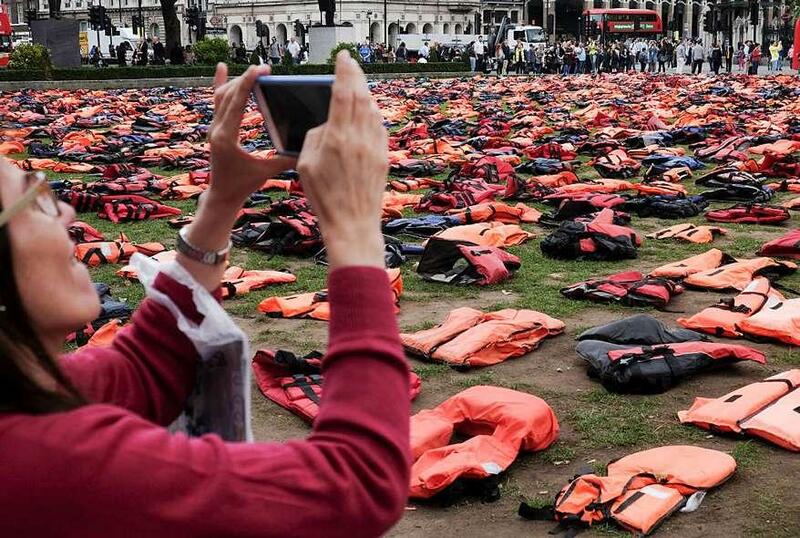 The jackets poignantly represent the thousands of refugees who have died trying to reach Europe since 2015. David Cameron\'s government promised to take 20,000 refugees from camps next to Syria by 2020. The UK\'s new Prime Minister Theresa May is expected to call for a better distinction between economic migrants and refugees at the UN.